Oil of Oregano is a highly potent natural purifier that is extracted from wild oregano plants, and two key compounds found in it are carvacrol and thymol. Studies have shown that both of these compounds have significant effects on harmful micro-organisms that cause many illnesses in humans1. It is important not to confuse Oil of Oregano with common oregano that is used as a spice for cooking. Common oregano is typically Origanum Marjoram, while Oil of Oregano is derived from Origanum Vulgare. 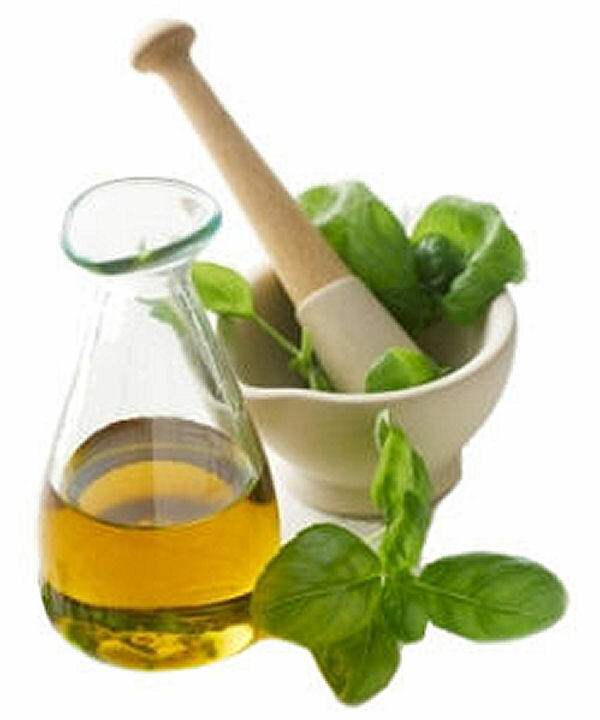 Oil of Oregano can be purchased as either a liquid or as capsules/tablets. In both forms, it is important to verify that the oil is derived from the proper potent oregano plant, and that the carvacrol concentration is at least 70%. The ancient Greeks were one of the first people to recognize this oil for its health benefits and medicinal qualities. It is known to be a potent antiviral, antibacterial, antifungal, and antiparasitic oil that can reduce pain and inflammation and effectively fight off infections 2. Oil of Oregano can be applied directly onto the skin to treat itches, skin infections, and irritated gums, but only if it has been diluted. Always follow the instructions on your particular bottle before applying topically onto the skin, since highly concentrated oils may first need to be mixed with Olive Oil or Coconut Oil before application (usually one teaspoon of Olive Oil or Coconut Oil per one drop of Oregano Oil). Oil of Oregano is an excellent early defense mechanism when you feel a cold or sore throat coming on. Simply take 3 drops of the oil once per day (you can mix it into a glass of orange juice) and you should notice results within a few hours. Repeat this once per day for up to 5 days until the symptoms are gone. It may reduce the body's ability to absorb iron. Therefore, it is recommended that any regular use be combined with regular consumption of iron supplements. For this reason, women are advised not to take this oil during their pregnancy. Pregnant women should also avoid this oil since it can stimulate blood flow in the uterus, which can weaken the lining that surrounds the fetus in the womb. People that have allergies to thyme, basil, mint, or sage may be sensitive to Oregano Oil as well, since they are in the same family of plants. If any skin irritation, rashes, or vomiting occurs when using it, it is recommended that you discontinue use and consult your doctor. Oil of Oregano can be found in almost any natural health or nutrition store, or from online retailers such as Amazon.com (see below). It is important to make sure that it is derived from Origanum Vulgare, and that the carvacrol concentration is at least 70%. ^ A. Nostro, A. Roccaro, G. Bisignano, et al. "Effects of oregano, carvacrol and thymol on Staphylococcus aureus and Staphylococcus epidermidis biofilms". In Journal of Medical Microbiology, April 2007 vol. 56 no. 4 519-523. ^ M. Force, W. Sparks, R. Ronzio. "Inhibition of enteric parasites by emulsified oil of oregano in vivo". In Phytotherapy Research, 2000 May;14(3):213-4. ^ Konstantia Adam, Afroditi Sivropoulou, et al. "Antifungal Activities of Origanum vulgare subsp. hirtum, Mentha spicata, Lavandula angustifolia, and Salvia fruticosa Essential Oils against Human Pathogenic Fungi". Journal of Agricultural and Food Chemistry 1998 46 (5), 1739-1745. @Blavk. Oil of Oregano is a very effective immune-booster, antioxidant, antiviral, antibacterial, antifungal, and antiparasitic oil. Simply taking 3-4 drops of the oil, once or twice daily, under the tongue may help in the treatment of HPV. If the taste and spice level of the oil is intolerable, taking it with a few sips of water or juice may help. Also applying diluted Tea Tree oil on to the sores/warts may speed up the healing process. I have been diagnosed with HPV, can Oil of Oregano cure me? Is it safe to take Oregano as a daily supplement? I was wondering about the same thing - did you find out? @Chris, it says above on this page that the regular use of Oregano Oil can interfere with the body's ability to absorb iron. So it may cause iron deficiency. Therefore, if you are taking it for longer period of time, taking iron supplements along with it may help. I'm definitely happy I discovered this site - I'll be bookmarking it and checking back often! Can anyone tell me if it's safe to take oregano oil indefinitely? Greetings! Very useful advice in this particular article! It's the little changes in lifestyle that make the most significant changes. Thanks a lot for sharing! Julia, same thing is happening to my sister in law and she has Lyme Disease. I bet that is what you have and most medical doctors just blow you off. My son has had it for 7 yrs now and it is very bad. He has chronic fatigue affecting every aspect of his young 23 yr old life! His primary blew me off - after a year of testing him for all kinds of things and now finally we have a correct diagnosis. I just learned about oil of Oregano and going to order it ASAP for him! Good luck! Great information and comments about Oil of Oregano!! !